I've always been fascinated by the ocean. 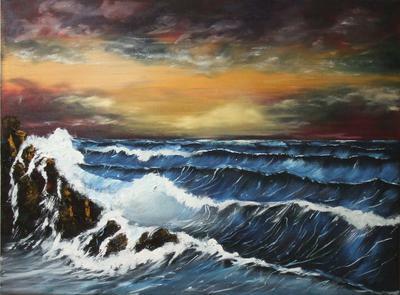 This is my latest attempt to capture the sea. It didn't start out as a stormy sea picture.... but ended up that way. Absolutely exquisite Sandee! This is a breathtaking piece of art! Kudos to you.